This info came from PHYSICAL contacts to spacepeople in the 60ths through Edward J. from Virginia, where he claims physical meetings with a man having seemingly lowered his body- frequency to our level, and through many physical meetings, brought him a lot of interessting info. Well, if you think he just invented all this, so ask why. He would get no personal gain or fame of it, as it is all-anonymously published. No, this is done as a job to get information out - to a blinded "democratic" society, total gaged by the big media, and power/money institutions that rule our slave-world. Including the churchpower. powers such as the Gardeners of the Earth. accounts relating to space people coming to Earth; conversations with space people; Earth people observing space ships, and on and on. recopying manuscript – from one language into another, has seriously breeched their original coherency. so are deficient to that degree. things they did not understand. the literature of the day. mysterious events and circumstances that illustrated those early times. form of scrolls of parchment. that were prevalent, and circulated around the area of the Holy Land. were many versions floating about during the 1400s and the 1500s. and rolls. Sometimes cherubs were used to describe space ships. thunderous voices coming from whirlwinds and fiery chariots. days or even weeks, for the purpose of delivering their information. 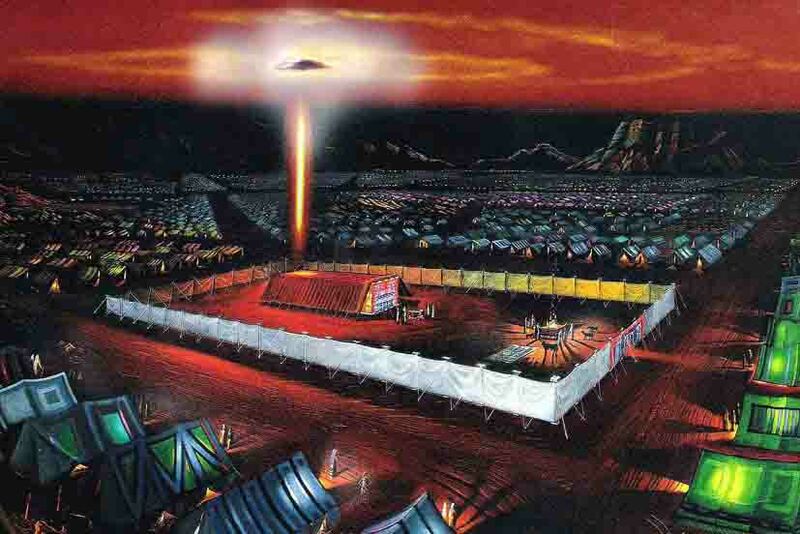 cloud” was over the Tabernacle by day, and “fire” was on it by night. the ship into a fine mist – or cloud. given off, resembling fire bolts. Just how could these happenings be described by Biblical people? people saw? It was all very confusing. power to decree what people were to believe from that time forward. that they enforced the “will of God”. and of highly evolved beings, scattered throughout the scriptures. Bible in search of these encounters. Bible is all but impossible due to adulterations, inaccuracies, misinterpretations and interjections imposed upon the original holy writs. family. would not be destroyed. to do away with the two cities. anyone standing in front of them. The light blast was designed not to affect anyone using the device. Needless to say the intruders were rendered completely harmless. for Lot, his family and the spacemen to leave town. as they could and hid about town. with his family and lived there for quite some time after. daughters were righteous people just as Lot. Lot would have known if she was otherwise, for Lot was a highly developed psychic being. city to perish with everyone else. Lot’s wife, into the story. Lord’s retaliation really kept people in line several hundred years ago. Their minds, bodies and souls practically belonged to the “church”. couched in allegory. 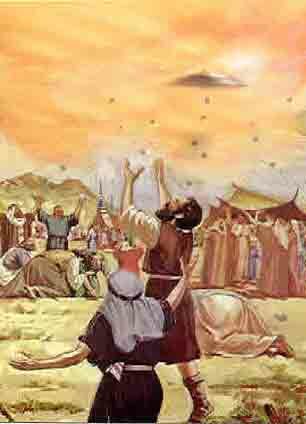 The manna from Heaven is a symbolic term. provided by the space people and delivered by space ship to Earth. hoarded. More was periodically supplied as necessary. emerges, and they enter into counsel. They conversed face to face. for the written laws of the Israelites. by night. These appearances that the people saw and tried to describe were caused by the ship’s electro-magnetic force field coming into contact with atmospheric conditions. At night, the ship’s force field glowed, as if “fire” was on it. 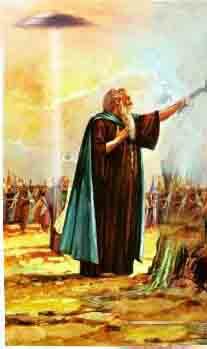 as the “Lord” talking to the children of Israel. space ship (out of the midst of the fire) and an Earth person. person (angel of the Lord). Ships would land directly in his presence. He was a spiritually gifted go-between. I SAMUEL, CHAPTER 17, ALL. This is the well known story about little David who slew the Philistine giant, Goliath, with his slingshot. one of the last remnants of a tribe of such giants. His forbearers’ tribe was one of the original twelve that were brought to Earth previously by the space people. over the “holy place”, as priests convene for counsel. of places to teach at. II CRONICLES, CHAPTER 7, VERSES 1 TO 4. This passage refers to a space ship (the fire came down from heaven) descending to Earth. Unfortunately, its meaning is obscured in the symbolic distortions. different things, as a gesture of respect for someone, for example. And animals were not necessarily killed in these instances. to the Lord (space people aboard a mother ship hovering, out of sight, high above the Earth), sending down an angel (a space person in a space ship) to Earth. The distorted and confusing symbolisms make this story hard to follow. surprisingly, some of the real meaning filtered through anyway. 12 "Moreover thou leddest them in the day by a cloudy pillar; and in the night by a pillar of fire, to give them light in the way wherein they should go. delete references to things they could not explain. "Is not God in the height of heaven? and behold the height of the stars, how high they are!13 And thou sayest, How doth God know? can he judge through the dark cloud?14 Thick clouds are a covering to him, that he seeth not; and he walketh in the circuit of heaven. intelligence and perceptiveness compared to that of Earth people. ship (whirlwind) approaching the viewers from the South. spoke to Job. 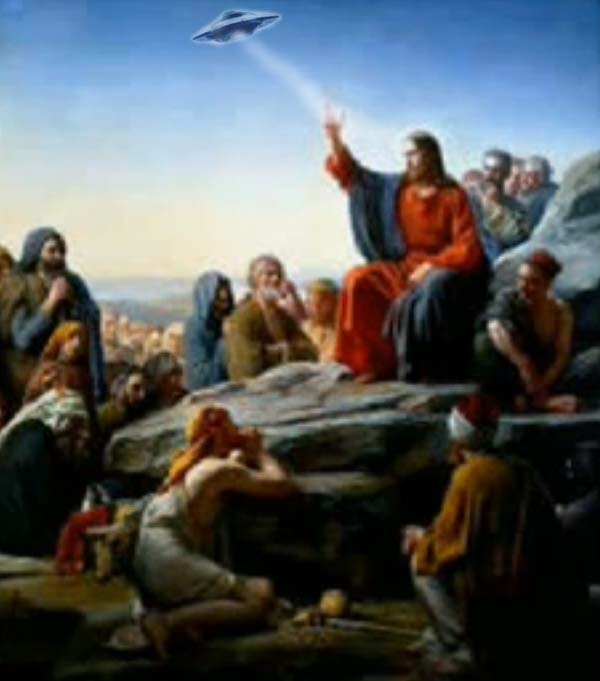 Job was another “contactee” for the space people. 1 Then the LORD answered Job out of the whirlwind, and said,2 Who is this that darkeneth counsel by words without knowledge?3 Gird up now thy loins like a man; for I will demand of thee, and answer thou me. people (the Lord) who are in their ship (whirlwind). they have become on their own. gained by doing this, so why bother. out” their inner-voice and not to trust it. what God says we are to do. education elevate their awareness, likewise. cities and countries. Reference to this intent is noted in this scripture. the public to be disseminated. within their ships as likened to a “sphere”, hovering above the Earth. sky, as this is symbolically likened to a multitude of “grasshoppers”. 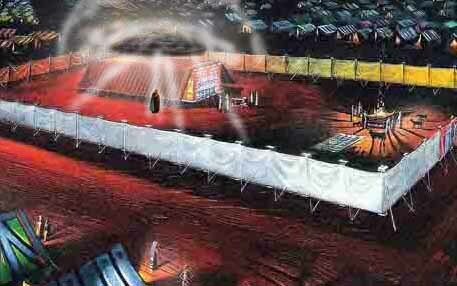 spreading out over a large portion of sky was likened to a tent). no be bestowed upon Earthly limited mentalities. reference to the existence of life on other worlds and other realities. without beginning or end, forever. obscured, and the account has filtered down to us fairly accurately. these ships as swifter than eagles. got by the Biblical editors without being changed around. gestalts are unlimited in power and number, and in creativity. 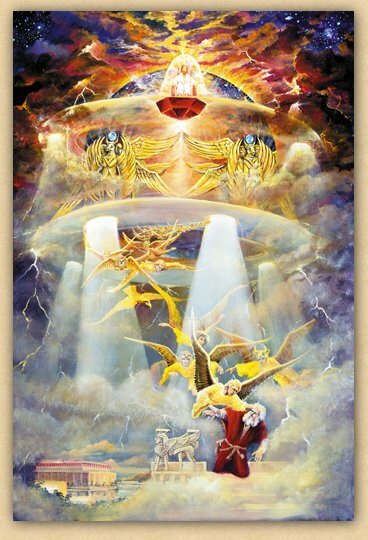 Art of EZEKIEL of PETER ROBSON - and as interpreted in this article the wings of the "angels" does symbolize they could be taken up and down in a "beam-lift" - generating anti-grav. -which the primitive people then of course didnt understand - so they had to give them wings. of light from the ship’s shiny surface (the color of amber). It appeared so dazzling and bright that it was likened to fire. 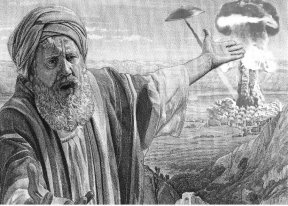 The ship made a direct landing near Ezekiel, and four space people exited from the craft (in the likeness of living creatures). angle, the men still appeared as men, as this was a figure of speech. (visible force field) looked like “burning coals of fire”, and lightning. described in verse 18, as likened to four rings. (about 100 yards elevation) and this is told in verse 22.
the lines” to understand the meaning of Ezekiel’s contact here. now miraculously left alone by the animals. other realities, and other beings. 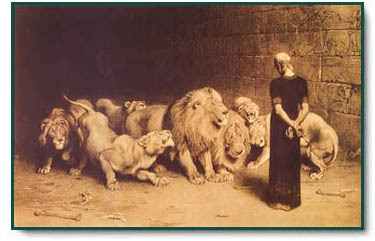 ZECHARIAH, CHAPTER 5. Zechariah constantly sees space ships. the breadth (thickness) of ten cubits. Very good, indeed! 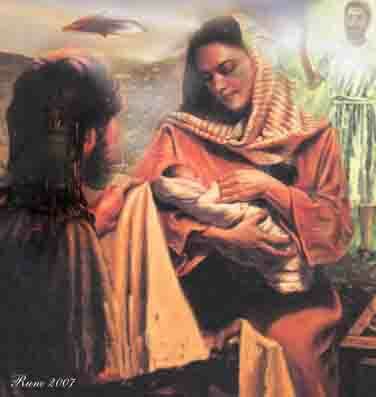 of a mother ship that was purposely brightly glowing over Bethlehem. That ship acted as a beacon. visit Earth for the purpose of bringing knowledge and wisdom to us. to convince people of the life on other worlds. version of similar information to that of Matthew 30, 31 and 35.
made as it approached the ground, and was heard by the observers. flow (the ship’s force field). having engaged in conversation with voices coming out of the ship. symbolisms distort much of the account. worlds and they did not even know it! (as today!!) Fortunately, the symbolisms in this passage were not hard to understand. The editors overlooked this one. in allegory and symbolisms that it is all but impossible to understand. explanation again, if you wish, on an earlier page in this chapter. Stop for a moment to think and realize that we, today, can perform fantastic, unbelievable, miracles, seemingly impossible. Let us see. I will plan a trip to Australia. When I arrive I will venture to the backlands of the place. I will travel to where very few “outsiders” go. hear. They are fascinated. Their mouths drop open. transmitted image. They look at all my items. They look at me. They begin to mutter among themselves. They rush back to their huts. revered as some sort of God. Am I? To them, I have performed “miracles”, therefore, I must be a God. To me, I understand their understanding. I do not reprimand them for their actions, for I feel nothing in my heart but kinship and warmth. and teach them some things to make their lives a little more enjoyable. space people’s messages as well). certain deciples to carry on the doctrines that they had instigated. Those righteous men were highly perceptive and made good choices. they allowed their egos to get in the way. conspiracy to gain, yet, more power and wealth for themselves. like sheep following a shepherd. fought over religious ideals. Do you think God condones this? 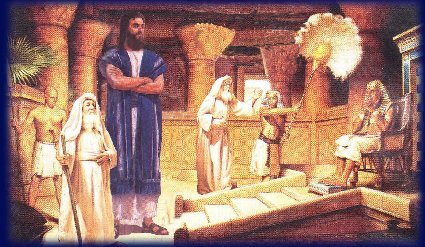 leaders thought God’s words were or should be. generation, and it has come down to us from century to century. approach, rather that preaching the same old, dull boring hum-drum. 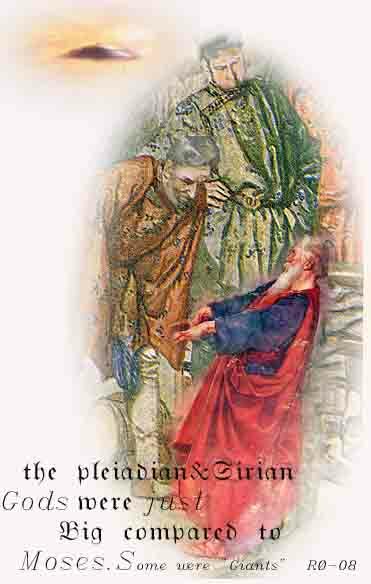 age old traditions, beliefs, and customs, and asks why. and prosper, and be creative in a positive, spiritual manner. (Rolf Telano had contact to "Boreaslis" - claiming coming from a level of Venus. (had seemingly contact through radio-transmissions). "…you can simply not adjust our channel. And yet still we are solid og real. There is sound your ears cannot hear and colors your eyes cannot see. Yet those are in reality as real as those you CAN see with your senses. The limits for OUR ability to perceive is much bigger than yours, but the difference in level is so big that we normally also is unconscious about you. We are able to enlarge the limit down to your level, but for most efficient observation, is it necessary for us to transform or readjust to your lowlevel-frequency.